Whilst at The Other Partizan show last weekend, I had a chat with Martin and Gavin from Warbases. In recent months, changes at the company has meant that Martin has been able to spend much of his time designing new models, and we got to see some of the results at the show. 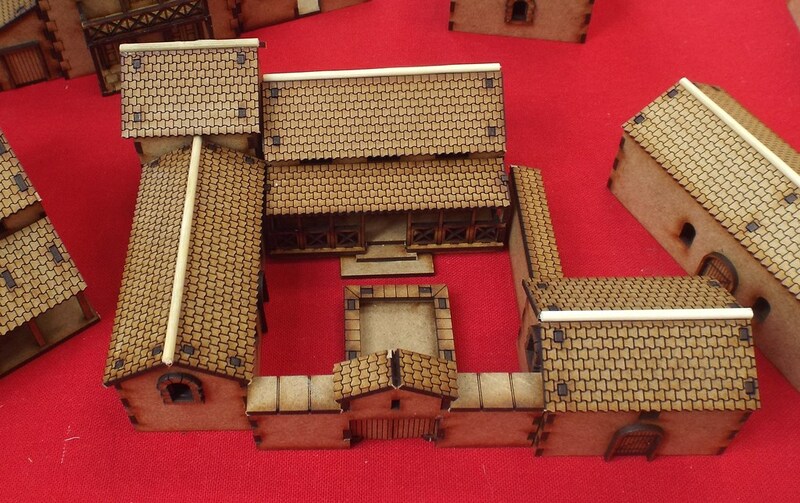 First of is a new release of 15mm scenery. Warbases existing 28mm Ancient Roman models have been rescaled to 15mm, and if anything look even better in the smaller size. These are due for release at the Border Reivers show on the 2nd September. I addition to the 15mm range, the 28mm Roman range is also being extended with a new gateway and wall sections, which is inspired by the Arbeia Roman Fort in South Shields. Warbases launched a 15mm range of sci-fi scenery at UK Games Expo earlier this year. Painted examples of this scenery were on display at The Other Partizan. A 28mm version of this model range is currently being designed. Visit the Warbases website for more details.